ATLANTA — Dana Inc. introduced the next generation of its Rhombus TireAnalytics platform. It also introduced its new Spicer S172 series single-drive axle for Class 7 and 8 vehicles and its Spicer D172 series heavy-duty tandem axle for construction, heavy haul and severe-service applications. 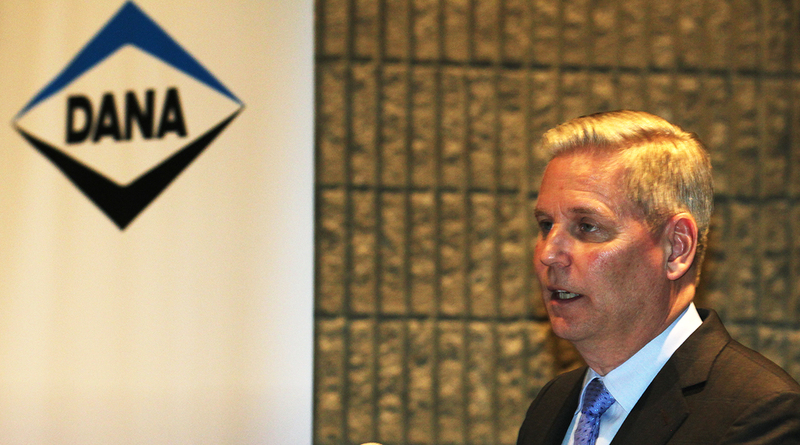 Dana made its announcements March 4 at the Technology & Maintenance Council annual meeting. Rhombus TireAnalytics 2.0 is a cloud-based platform, and is an example of the digital transformation of Dana, according to the Maumee, Ohio-based company. The system identifies and analyzes tire wear trends to predict maintenance issues that can be preemptively addressed to minimize downtime and establish optimal timeframes for scheduled replacement. For larger fleets, the next-generation Rhombus also facilitates standardized tire inspection and maintenance practices across terminals. Also, a technician can access tire PSI and tread depth devices wirelessly, thus reducing the possibility of errors and the need for excessive data input. Tire serialization is another feature offered with the new version, allowing better management of the life cycle of tires, tracking the current status as well as the history of each tire in the fleet based on its serial number. The new axles replace the S170 series and are scheduled to be in use by the second quarter of 2018. Both the single and tandem axles are 60 pounds lighter compared with the previous models. The S172 series single-drive axle for Class 7 and 8 vehicles is intended for 4x2, 6x2 and 8x2 applications up to 25,000 pounds gross axle weight rating. Also, it features a patented meter to optimize the amount of lube flow to the high-efficiency bearings. The D172 series offers a broad range of gear ratios, from 3.07 to 6.14, to serve a variety of needs. The company also is focusing on integrating axles, gearboxes and thermal management capabilities to offer battery cooling technologies along with inverters and electric motors to leverage Dana’s expertise across the electrification waterfront. Dana has launched an e-axle in a Class 3 vehicle in China. The batteries are positioned between the frame rails, providing what Dana views as a better chance for OEMs to integrate them. The power rating of the motor ranges between 800 and 135 kilowatts. It will support GAWR of up to 8,000 kilograms [17,637 pounds].